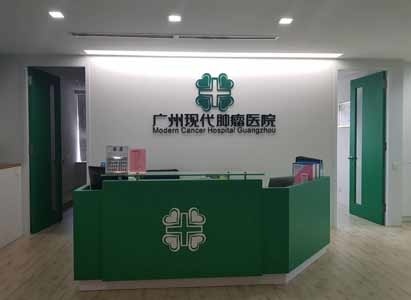 Kuala Lumpur Office, one of the overseas offices of St. Stamford Modern Cancer Hospital Guangzhou, is established to provide free cancer consultation service for cancer patients in Malaysia. In here, cancer patients and their families can talk to oncologist personally and get disease evaluation, cancer consultation and rough treatment expense estimation, as well as learn about minimally invasive technology, impatient environment and medical services of St. Stamford Modern Cancer Hospital Guangzhou. The establishment of the Kuala Lumpur office means patients can get free disease assessment and professional treatment without having to travel to Guangzhou. The Kuala Lumpur office has specialized oncologist and counselors who can answer questions and solve problems professionally. The establishment of the Kuala Lumpur office has greatly facilitated cancer patients in Malaysia. Cancer patients or their family members can receive professional treatment advice here with medical reports such as PET / CT scan and MRI etc.. Founded in 2005, St. Stamford Modern Cancer Hospital Guangzhou, jointly owned by Perennial Real Estate Holdings Limited Singapore and China's well-known medical investment group, Boai Medical Group(China), is a cancer hospital specializing in cancer treatment, equipped with advanced minimally invasive cancer treatment technology, professional Multidisciplinary Team(MDT) and attentive medical services. In 2014, St. Stamford Modern Cancer Hospital Guangzhou passed a high level of American JCI accreditation for hospital services and hospital management. In October 2017, St. Stamford Modern Cancer Hospital Guangzhou passed the first three-year re-assessment accreditation and the high-quality medical service of the hospital was once again recognized by the JCI certification headquarters in the United States.